AMDA | AMDA News - AMDA Spotlight Magazine is All New and Available Online! 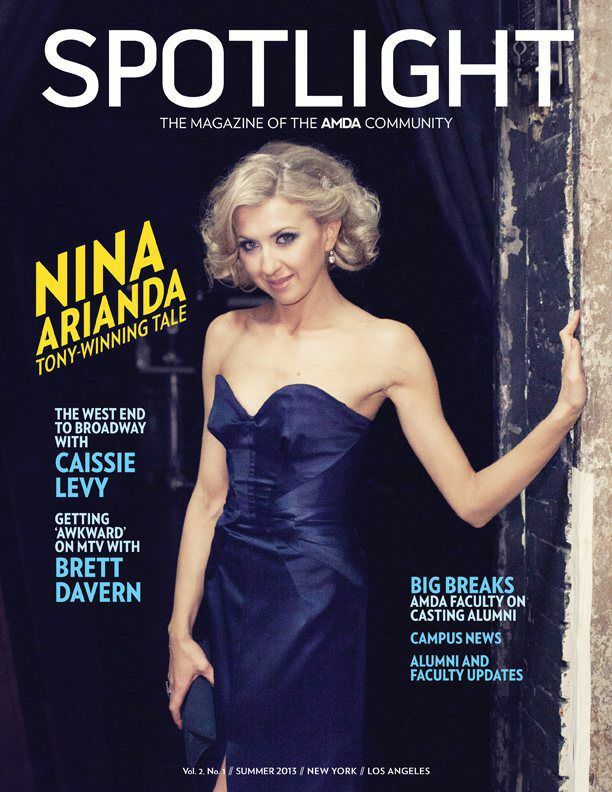 AMDA is proud to announce the premiere issue of our revamped magazine, Spotlight. As "The Magazine of the AMDA Community," Spotlight features campus news and events, photo galleries, informative features and interviews, and updates on alumni and faculty. AMDA alumna and recent Best Actress in a Lead Role winner discusses her idols, influences and upcoming roles. When casting their own projects, AMDA faculty often turn to the alumni they help educate. You can read Spotlight online below or download a copy for offline reading. Print versions are available on campus and at AMDA events.